Complimented with a white faux snakeskin shade, the silver chrome table lamp will certainly be one that you will wish to have in your home. Able to effortlessly spread light throughout, you will be welcoming not only a practical piece of decor but a beautiful one too. 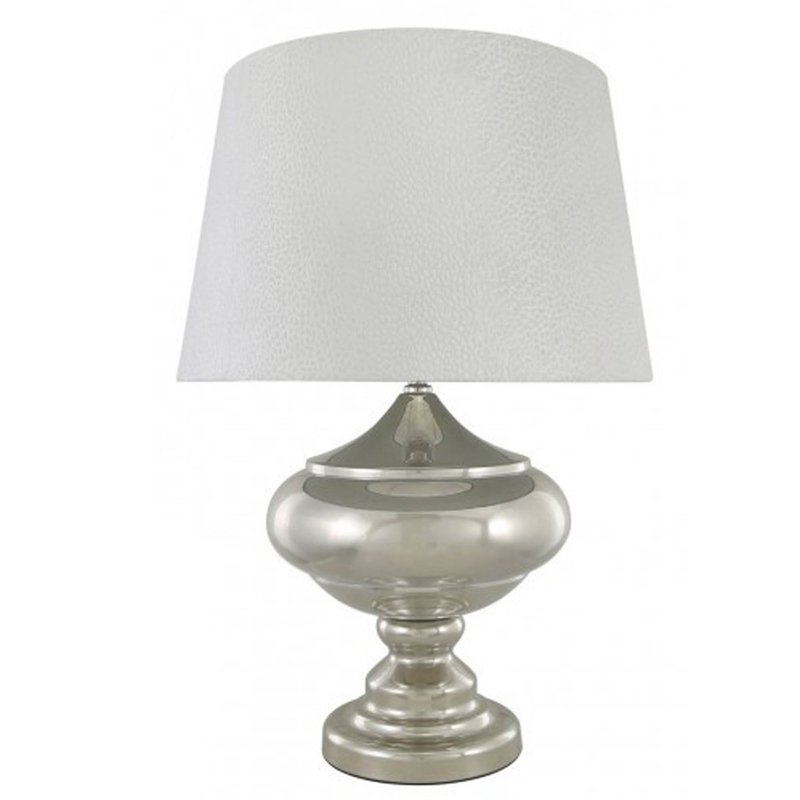 Made with a high level of craftsmanship, the Silver Chrome Glass Table Lamp will be able to be featured in your home all year round.